I love tutorials that help reuse items. 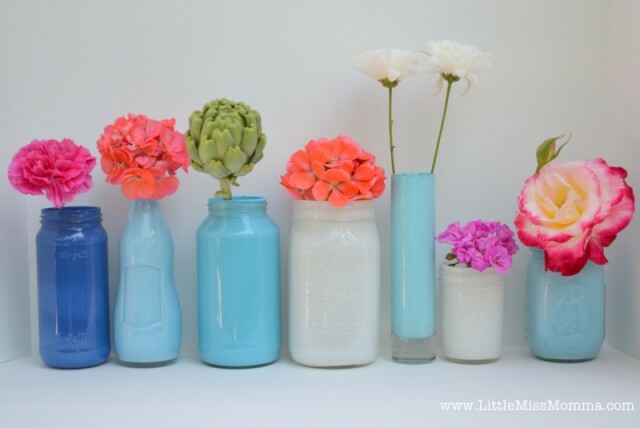 Here are some great tutorials (simply click on image for the tutorial link) with ideas of what to do with empty jars and glass bottles and containers. 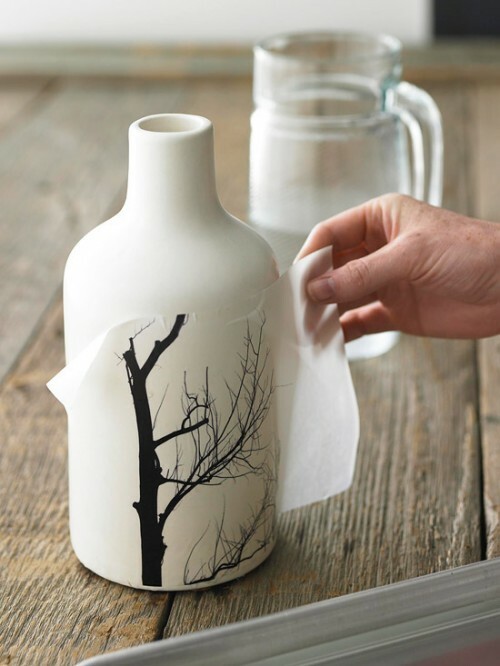 Above is a tutorial on how to transfer an image to a ceramic or glass bottle. Think of the possibilities of beautiful handmade vases. How gorgeous are these painted vases? This seems really easy and fun! Love the colors and they look great displayed in a line like the image. Here is a really handy tutorial… there are so many possibilities for cleverly labeling storage containers and these DIY canisters would be a really nice gift. I definitely want to try this in my kitchen. This string/twine vase is gorgeous! So simple.